Paramount Home Media Distribution will be flying on Feb. 19 with a newly minted edition of director Tony Scott’s 1986 smash Top Gun on Blu-ray. Not just any Blu-ray, but a 3D presentation of the Tom Cruise action flick — it will also be making an IMAX theatrical debut as a 3D presentation nationwide on Feb. 8, so the buzz should be good for retail action. According to Paramount, the film was re-mastered from the original negative scans and then converted to 3D under the direct supervision of the late Tony Scott. 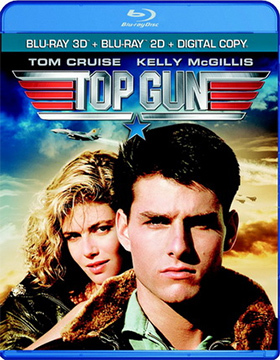 The two-disc Blu-ray SKU (with UltraViolet) will feature both 3D and 2D presentations, with bonus goodies that include commentary from filmmaker Tony Scott, producer Jerry Bruckheimer and co-writer Jack Epps, Jr., a six-part documentary on the film’s production, four music video, a pair of featurettes and an interview with Tom Cruise. In other release news this week, look for the Comedy Central DVD presentation of Kristen Schaal: Live at the Fillmore to also street on Feb. 19. This is her first stand up special, which was taped live this past June at the legendary Fillmore in San Franscisco. Between regular stints on the Daily Show as a “special correspondent,” a hectic stand up comedy schedule, movie appearances and voice work … you have to wonder when she finds time to sleep. 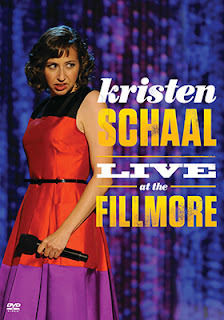 For fans, the DVD release Kristen Schaal: Live at the Fillmore is welcome news … it arrives uncensored and with extra material not included in the Comedy Central cable presentation. Not done yet! On Mar. 12 a fully restored presentation of director Cecil B. DeMille’s 1949 Technicolor biblical epic, Samson and Delilah — starring Victor Mature and Hedy Lamarr — will be making its long-awaited debut on DVD. 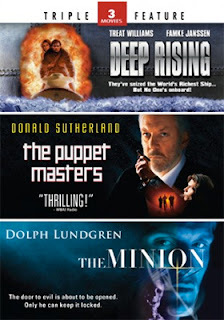 Mill Creek Entertainment reveals plans this past week for a massive priced-to-sell DVD release slate that is primed for delivery to retail on Feb. 19. The 18-SKU onslaught is a blend of theatrical releases and kidvid product offerings — nothing priced above $12.98, with most priced at just $9.98. For starters there are a total of ten different triple features (double-disc SKUs) containing such combinations as writer/director Stephen Sommers’ Deep Rising (1998, Treat Williams, Kevin J. O’Connor and Famke Janssen), The Puppet Masters (1994, Donald Sutherland) and The Minion (1998, Dolph Lundgren) or the comedy triple-bill of It's Pat (1994, Julia Sweeny), Cabin Boy (also 1994, Chris Elliot), Frank McKlusky, C.I. (2002, Dave Sheridan). On the kidvid front there are seven different SKUs to select from, including the three-disc, 32-episode animated series, Beverly Hills Teens, Volume One, the four-disc collection of The Wacky World of Tex Avery, Volume One (40 animated episodes) and Street Sharks: The Complete Series (a four-disc collection featuring all 40 episodes). And lastly there is the bargain priced (just $9.98) three-disc set titled 12 Family Movie Favorites. 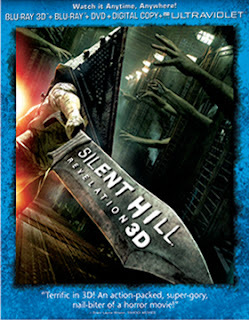 It has been six years since the film adaptation of the video game, Silent Hill, made a nice splash theatrically. 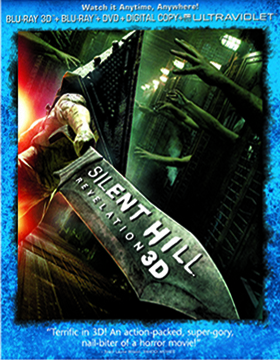 We had expected a sequel sooner … it finally arrived this year from writer/director Michael J. Bassett as a 3D film release titled Silent Hill: Revelation. Universal Studios Home Entertainment will be moving it to the home entertainment arena on Feb. 12 as a three-SKU release — DVD, Blu-ray/DVD Combo Pack and 3D/2D Blu-ray/DVD Combo Pack (all sporting UltraViolet). 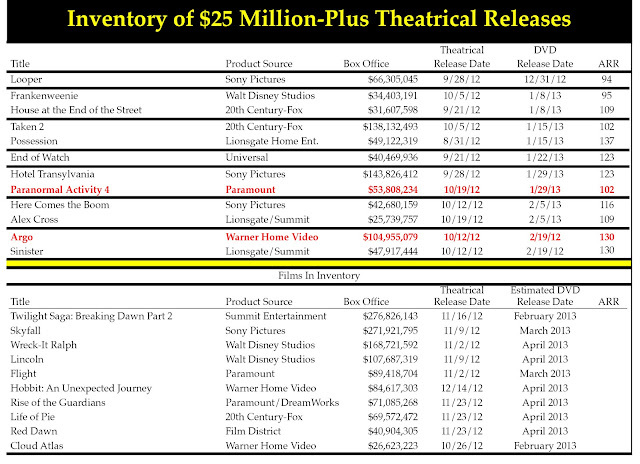 The ARR is 109 days and the box office take was a little light at just $17.5 million. Writer/director Rashaad Ernesto Green’s award-winning drama about life — dealing with what life throws your way — in the Bronx, Gun Hill Road, will be making its DVD debut on Mar. 5 courtesy of Virgil Films & Entertainment. The ARR is a leisurely 578 days and the box office take in the film’s limited run was $148,994. Enrique (Esai Morales — La Bamba, plus numerous TV series … NYPD Blue, Vanished, Jericho, Fairly Legal, etc.) is fresh from a three-year jolt in prison and back home in the Bronx. 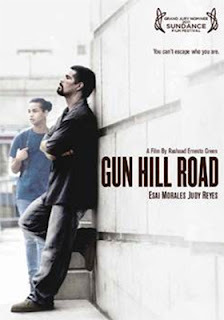 Life there would be tough enough, but he soon learns that his wife (Judy Reyes — Scrubs) is having an affair … and, worst yet, for a tough-as-nails felon it comes as quite a jolt that his teenage son, Michael (played brilliantly by Harmony Santana), is a blossoming transgender and into crossdressing. Filmmaker Green could have taken the film in a number of directions. Salacious, brutal, depressing … it is a long list of choices. Instead he elected to focus on the relationship between the father and son, which makes for a compelling film (hence the festival awards and recognition). It comes as no surprise that Enrique’s first reaction is to “correct” Michael’s behavior, which pretty much means molding him into a junior version of himself. Its only when he realizes that his life isn’t all that great that he begins to accept his son for who he is … it is not an easy path. Midnight Releasing has screen legend Franco Nero — Django himself, no less — ready for some post-apocalyptic action on Feb. 19 in writer /director Marco Rosson’s sci-fi thriller, New Order. Twenty years in the future we find a bleak world where 90 percent of the population has been killed off by a viral plague … they were the lucky ones. What remains are devastated cities and a plague that continues unabated with no cure in sight. But there is hope! Dr. Van Morgen (Franco Nero) has taken over the research of his colleagues, who may (or may not) have been close to discovering a cure before they went comatose. To move things along, he recruits five survivors who appear to be immune to the virus … his hope is that they will be the final piece to the puzzle. If you are a genre fan, your knee-jerk reaction to this set up is that these five are just victims being stashed away at a remote cabin for zombie hoards (or cannibals; rogue bikers; inbred hillbillies … take your pick) to attack and in the process wipe out mankind’s only hope for salvation. But Rosson throws us a curve in his debut outing as feature film director with an even more difficult puzzle for Van Morgen to solve. His test subjects are starting to go insane!! Is the cure worst that plague itself? 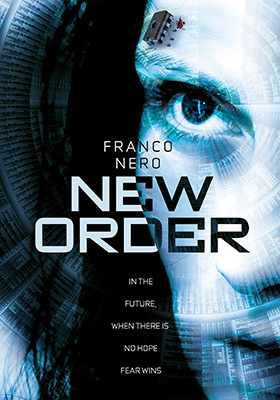 Bonus features on the DVD release of New Order include deleted scenes and a behind-the-scenes production featurette. The 12th Annual Hollywood Black Film Festival concluded its four days of film screenings (39 films in all) at the end of October with the honor of the closing night selection being that of actor-turned-director Fred Thomas Jr.’s 24-Hour Love. In his directorial debut, Thomas deftly juggles seven stories of love and relationships, complete with a range of emotions that run the gamut from joy and laughter to drama and pain … love is, as his stellar cast discover in their various relationships, more than just romance. 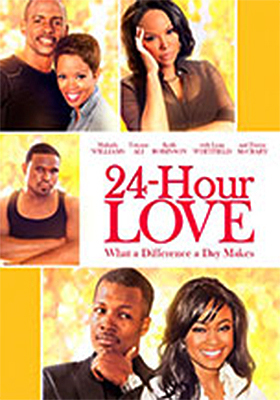 Included in the ensemble cast are Malinda Williams, Lynn Whitfield, Tatyana Ali, Keith Robinson, Eva Marcille, Flex Alexander and Chico Benymon. Image Entertainment has selected Mar. 19 as the DVD debut date for 24-Hour Love. In other release news from Image this week, director Andrew Weiner’s The Frankenstein Theory will be heading to DVD on Mar. 26. In an interesting twist on Mary Shelley’s classic horror tale, a group of academics head off to frozen wastelands of the Arctic to investigate — and document — the possibility that her literary creation was based on fact. They soon discover that some tales of horror are best left at that, just stories to be read … not experienced first hand!